Background: Implementation of guidelines and assessment of their adaptation is not an extensively investigated process in the field of rare diseases. However, whether targeted recipients are reached and willing and able to follow the recommendations has significant impact on the efficacy of guidelines. In 2012, a guideline for the management of urea cycle disorders (UCDs) has been published. We evaluate the efficacy of implementation, adaptation, and use of the UCD guidelines by applying different strategies. Methods: (i) Download statistics from online sources were recorded. (ii) Facilities relevant for the implementation of the guidelines were assessed in pediatric units in Germany and Austria. (iii) The guidelines were evaluated by targeted recipients using the AGREE instrument. (iv) A regional networking-based implementation process was evaluated. Results: (i) Download statistics revealed high access with an increase in downloads over time. (ii) In 18% of hospitals ammonia testing was not available 24/7, and emergency drugs were often not available. (iii) Recipient criticism expressed in the AGREE instrument focused on incomplete inclusion of patients’ perspectives. (iv) The implementation process improved the availability of ammonia measurements and access to emergency medication, patient care processes, and cooperation between nonspecialists and specialists. Conclusion: Interest in the UCD guidelines is high and sustained, but more precise targeting of the guidelines is advisable. Surprisingly, many hospitals do not possess all facilities necessary to apply the guidelines. Regional network and awareness campaigns result in the improvement of both facilities and knowledge. Communicated by: Jerry Vockley, M.D., Ph.D.
On behalf of the working group for the “European guidelines for the diagnosis and management of urea cycle disorders,” further members of this working group are Nathalie Boddaert, Alberto Burlina, Anupam Chakrapani, Carlo Dionisi-Vici, Marjorie Dixon, Daniela Karall, Martin Lindner, Diego Martinelli, Vicente Rubio, Pablo Sanjurjo Crespo, René Santer, Aude Servais, and Vassili Valayannopoulos. 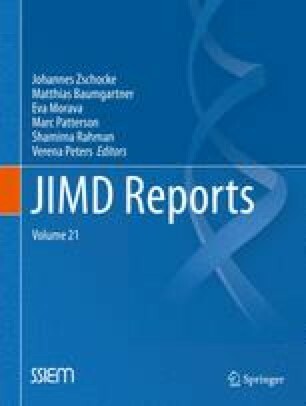 The development and distribution of the European guidelines for the diagnosis and management of urea cycle disorders were supported by the Arbeitsgemeinschaft für Pädiatrische Stoffwechselstörungen, the Deutsche Gesellschaft für Kinder- und Jugendmedizin, CIBERER, and by Nutricia Italia, Orphan Europe Recordati and Swedish Orphan International. The authors however confirm full independence from the aforementioned sponsors who did not influence the guideline development at any stage. The work on urea cycle disorders is supported by the Swiss National Science Foundation (grants 310030_127184 and 310030_153196 to JH). Both authors are members of E-IMD, the EU-funded “European registry and network for intoxication type metabolic diseases.” The authors further thank S. Bucher from the AWMF-Institut, Marburg, Germany, for her kind support. Johannes Häberle and Martina Huemer declare that they have no conflict of interest. This article does not contain any studies with human or animal subjects performed by the authors. J. Häberle and M. Huemer have together planned and performed the conception, design, analysis, and interpretation of data and drafted the article and revised it.